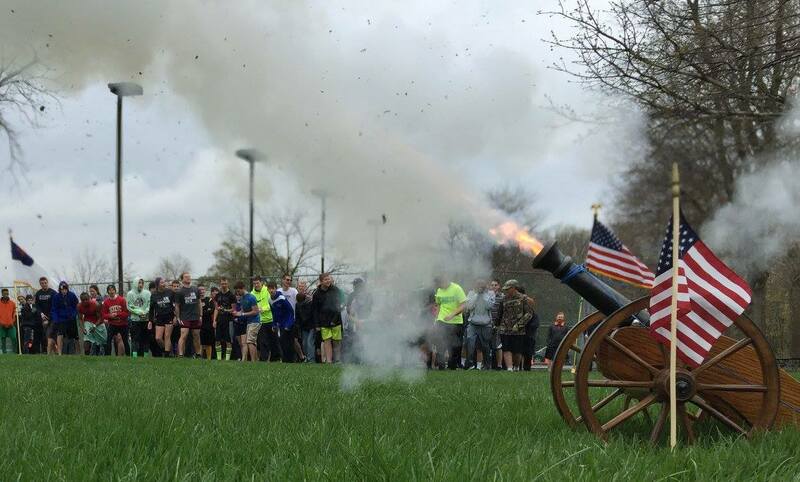 On Saturday, May 25th, commemorate the 103nd Anniversary of the Junior Reserve Officer Training Corps (JROTC) by running the AJ Arnett 5K Honor Run. Race start is Saturday morning at 8:30 am. The race starts and finishes at Concordia Lutheran High School, 1601 St Joe River Dr, Fort Wayne, IN 46805. Online registration for 2019 is now open. There will also be ’MORNING OF’ REGISTRATION starting at approximately 7:15 am at the CLHS campus. Fees are $28 for individual and $25 for family discount. There is also a discount for military service. NEW for 2018: Early packet pick-up on Friday, May 24th at Concordia Lutheran High School from 5 pm – 8 pm. On-site registration will be available for friends and family who have not yet registered. The 2018 AJ Arnett 5K Honor Run was selected for the Fort Wayne Running Club’s 2018 Point Series. Fort Wayne Running Club members received a $3 discount on registration. SPC AJ Arnett is a 2004 Concordia graduate and a US Army veteran of the Iraq War. A.J. deployed to Iraq with the 3rd Infantry Division in January 2005. On July 13, while on patrol in Baghdad, A.J. was seriously wounded in a car bomb attack that resulted in the death of one soldier and seriously wounding another soldier in his squad. 2016 Age Group Results may be found here in a printable pdf on the VeepRaces Results page. Searchable 2016 Results may be found here. AJ is well known to the area running community and is an example to others in dedication and perseverance. His full biography is below. The Concordia Lutheran High School Junior ROTC is the host of this run. The CLHS JROTC will donate proceeds from the event to Honor Flight of Northeast Indiana and Shepherd’s House of Fort Wayne. 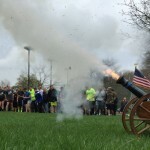 The race will start with a cannon blast and there will be other activities for persons of all ages that will highlight the contribution of the JROTC. A.J.’s awards and decorations include the Purple Heart, Army Commendation Medal, Global War on Terrorism Service Medal, Global War on Terrorism Expeditionary Medal, National Defense Service Medal, Iraqi Campaign Medal, Army Service Ribbon, Overseas Service Ribbon, Combat Infantryman’s Badge and the Expert Driver’s Badge (W), Unit Awards: Presidential Unit Citation, and French Fourragere. The race is an affiliate race of Veep Races and has been selected for inclusion to encourage support for this great cause. Veep Races highlights the race for runners and athletes who participate in our other events. 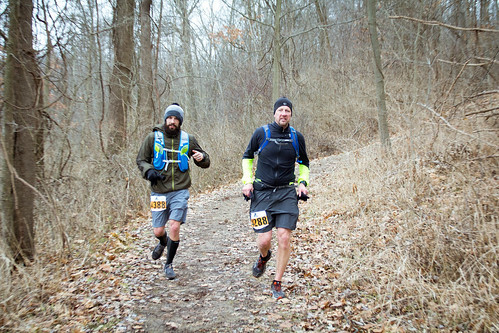 2018 Race Photos HERE. Photos by Daniel Owens. 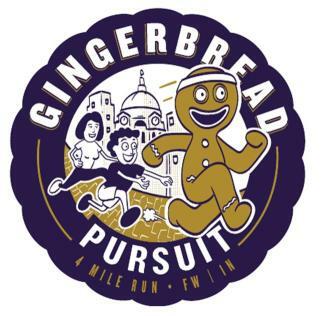 The 2019 Gingerbread Pursuit will be held December 14th in Downtown Fort Wayne – 8:30 AM. Your race bib will earn you free entry to the Gingerbread Festival at The History Center. COURSE MAP FOR 2018: New construction for the Riverfront Development and environmental remediation on the site of Historic Fort Wayne has caused a temporary alteration in the course for the 2018 Gingerbread Pursuit. You can view the 2018 COURSE MAP here. The course begins on East Berry by the Fort Wayne Cinema Center. Turns south on Clay for one block, then east on E. Wayne to Coombs Street. Turn left on Coombs Street, go over the bridge, then take the Rivergreenway path from the bridge to Columbia Street. Cross Columbia Street to the Rivergreenway on the other side. Run the Rivergreenway to the Tennessee Avenue bridge, turn left at the bridge, then turn left onto the Rivergreenway on the west side of the bridge. Follow the Rivergreenway through the Water Filtration Plant property, take the path underneath Spy Run, THEN TAKE AN ABRUPT RIGHT ONTO THE GRASS and GO TO THE SIDEWALK. TAKE THE SIDEWALK to FOURTH STREET, turn left and then rejoin the Rivergreenway. Once under the Dr. Martin Luther King, Jr. bridge, TURN RIGHT, CIRCLE ONTO the SIDEWALK, GO SOUTH OVER THE BRIDGE, then turn right onto the path in Headwaters Park. Follow the flags until you exit onto the circle at the end of Calhoun Street. GO SOUTH ON CALHOUN STREET TO THE COURTHOUSE, then turn left for the finish line. OVER 500 PHOTOS of runners at the 2017 Gingerbread Pursuit may be found on the Veep Races Flickr account here. Visit the Gingerbread Pursuit Facebook page for photos and updates. 2018 results will be posted simultaneously with the race completion on eRunner Timing and Results – our timing services provider. The start will be on Wayne Street by the Cinema Center and the finish will be on Berry Street between the Courthouse and the Lincoln Tower. View the 2017 Course Map HERE. Those who haven’t pre-registered may register the morning of the race at the Cinema Center from 7:10 to 8:10 am. You may REGISTER BY MAIL for 2017 soon. 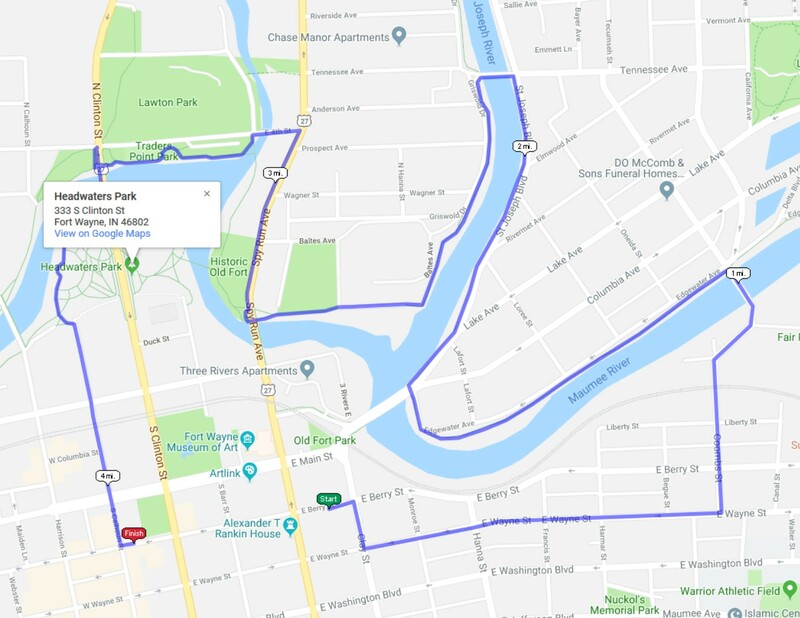 Race starts on Wayne Street just east of Clay, then runners head east to Coombs Street, turn left and go across the Tecumseh Street Bridge. Runners will then follow the Rivergreenway to the Tennessee Avenue bridge, crossover to the west side, then follow the Rivergreenway to Harrison Street, where they will cross the bridge south and then back to the finish line on Berry Street between the Art Deco Lincoln Tower and the architecturally significant Allen County Courthouse. The Courthouse is on the National Historic Register. Runners will start gathering at 7:15 to pick up their packets and chips at the Cinema Center at E. Berry Street at Clay – 437 E. Berry Street. 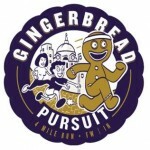 Runners will also receive gingerbread goodies at the finish line from Sassie Cakes and Pembroke Bakery. The refreshments and awards will be in the rotunda of the Allen County Courthouse. Come out and help promote The History Center and the Gingerbread Festival for the holidays! This gingerbread man, he knows how to run. Catch him right now, before it’s too late. The 2019 Waterfall 5K/10K Trail Runs will be Sunday, June 23rd. You may register online for the 2019 event here. Proud to be selected as part of the 2018 Trailrunner Trophy Series by TrailRunner magazine. The start and finish will be at the Observation Mound Pavilion, 6297 S Salamonie Dam Road, Lagro IN 46941. This beautiful site is atop the Salamonie Dam near the confluence with the Wabash River. There will be ‘morning-of’ registration at the Observation Mound Pavilion. We are now taking credit cards for ‘day-of’ registration. You may pay ‘day-of’ by credit card, cash or check. If you have the Square ‘Wallet’ – you may pay by your Square smartphone app. 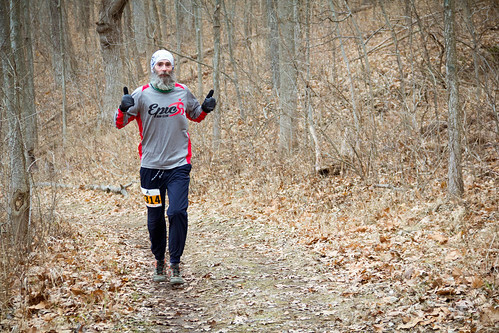 2013 Results: 1) 5K Overall; 2) 10K Overall; 3) 5K Age Groups; 4) 10K Age Groups. We congratulate ACRES Land Trust on the action of the Indiana Department of Natural Resources in December of 2014 to officially dedicate Kokiwanee as a statutory nature Preserve. One of the protective restrictions as a nature preserve means that it is limited for recreational purposes. So, starting in 2015, the Waterfall Trail Runs shifted to the trails of the Salamonie State Forest on the south side of the Salamonie River. We appreciate ACRES Land Trust and their protection of the bluffs of the Salamonie contained in Kokiwanee. I just wanted to say Thanks! again for all your work on the run yesterday. 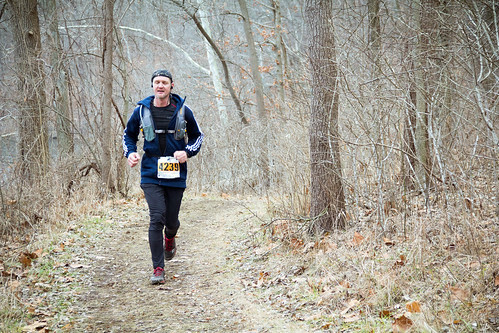 This was my first trail run and was a great experience all around. The event and camaraderie made for a terrific Sunday morning. Had fun with my boys at the Waterfall Trail Run. Great job by the race director, Mitch Harper. The boys really like their race shirts by Running Around Screen Printing / JoAnn Bird Great memories with the boys. I loved the atmosphere that this race promotes. Unique awards, nice shirts, and the cookout afterwards will bring me and my family back next year. Thanks for putting together this wonderful event! Great trails, and a welcome change of scenery! The Galloping Gobbler has become Fort Wayne’s new family tradition for Thanksgiving. 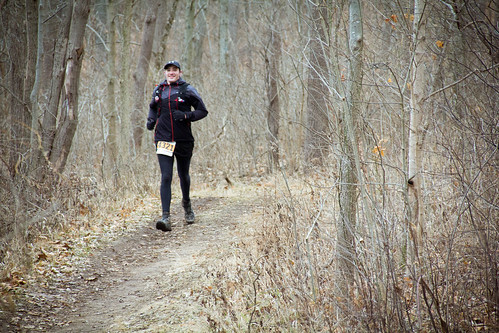 Make room for the turkey and trimmings by running the four mile Galloping Gobbler course. 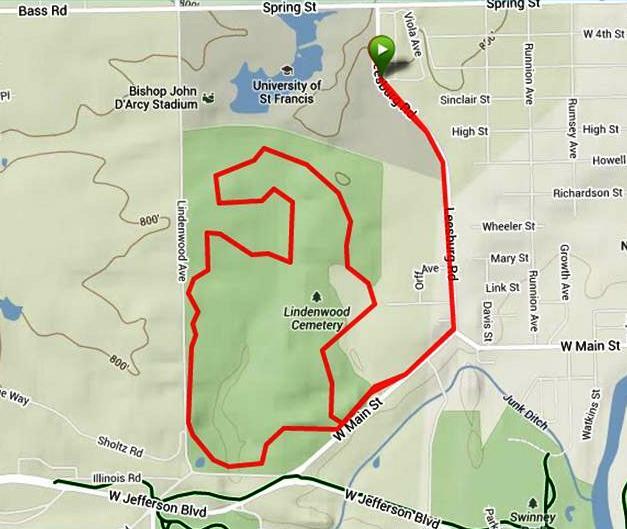 The four miler starts at the Hutzell Athletic Center on the campus of the University of Saint Francis and then takes you through Fort Wayne’s historic Lindenwood Cemetery before finishing back at campus. Music, a live turkey, a costume turkey mascot, chip timing, and over 2400 runners make this a time to share with family and friends. NOTE: The 15K race was last held in 2014. The suspension of the longer distance was made to simplify race-day logistics and help ensure runners can be home for Thanksgiving dinner. It is being reconsidered for 2018 but has not yet been added. 4 Mile Course Map Here. 4 Mile Course Elevation Profile Here. PACKET PICK-UP: Packet pick up for the Galloping Gobbler will be Wednesday from approximately 5:45 to 7:45 PM at the Hutzell Athletic Center on the USF campus off Leesburg Road south of Spring Street. Packets may also be picked up on race morning starting at approximately 7:10 AM. Parking is at a premium with the large crowd. We would recommend you use the North Campus lot off Spring Street (the largest lot is BEHIND the building) or the lots near Spring Street and Lindenwood Avenue. It is a short walk across campus to Hutzell and one gets to see the restored Bass Mansion up close. You may view a map of the campus here. Awards will be customized and sent to recipients after the race! A Thanksgiving tradition that I love and treasure. Great course, great people, great time. Great run experience for a new runner! Well organized, interesting route, lots of fun! Great event! Well managed, no hassle venue with 2,000 participants. Fast course in the prettiest cemetery ever. Hilly and interesting with a happy family and friends atmosphere. Run or walk at any pace. Train to win or push the stroller. Everyone gets home by 10am to enjoy Thanksgiving. Perfect! See you next year. Fun start to Thanksgiving for runners or walkers. Very family friendly! 2019 Race Date: Saturday, December 28, 2019. 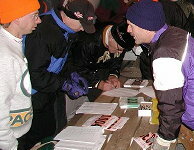 There is morning-of race registration at the Main Tent at Sand Lake. 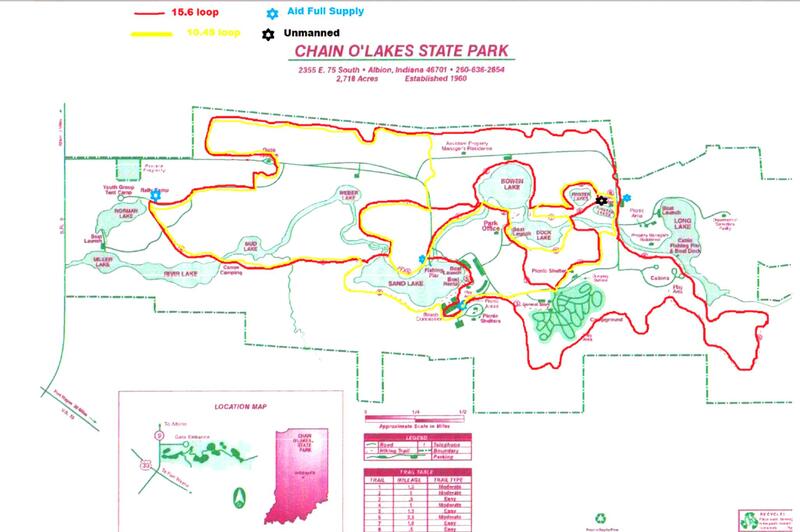 Note that entry to Chain O’ Lakes State Park is included in your registration; you will not have to obtain a parking pass or pay at the gate on race morning. 2019 ONLINE REGISTRATION is HERE. Packet pick-up will be available both the night before the race from 5:30 PM to 8 PM Friday night at Running Around Screen Printing, 227 W Van Buren St, Columbia City, IN 46725 and then again on Saturday morning before the race at the Main Tent at Sand Lake, COL State Park. You will be able to make changes to teams or make corrections in your name. Running Around Screen Printing is located at 227 W Van Buren St, Columbia City, IN 46725 – 2 blocks west of the Whitley County Courthouse. Runners can gather after packet pick up on Friday night from 5:45 pm to approximately 8 pm at Chapman’s Tap Room just a block and a half from Running Around Screen Printing. Chapman’s is directly across from the Whitley County Courthouse at 227 W Van Buren St, Columbia City, IN 46725. The Tap Room has great craft beer and tremendous food. Runners must complete the race by sundown (approximately 5 pm). Results will be shown continuously scrolling on television screens in the Main Tent during the race day. Periodic updates will be posted throughout the day at erunner.biz/results. Course map. You may view the 2019 course map below or at this link . The new map made changes so that the runners face more rational choices in direction where parts of the two courses converge and diverge. Runners will all be running in the same direction wherever the courses do converge. Relay runners and one loop runners will run the GREEN course. 50K individual runners will be running the PINK course. Trail flags in the respective colors will guide runners along the course. 2019 Finishers of the 50K and the Relay will receive belt buckles. The One Loop Finishers will receive medals. The image pictured is of a proposal made at the finish line last year. It was a fun moment and is now captured in a 3D cast medal. Overall and age group winners will also receive plaques. 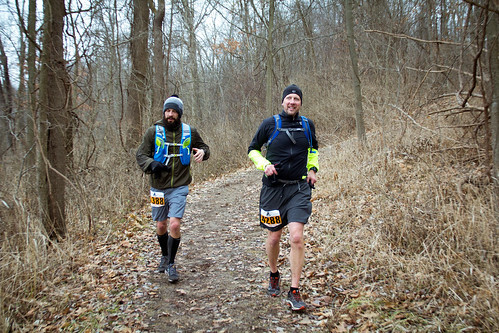 The OVERALL 50K Winners will receive one of the heaviest awards in ultramarathoning. It is a specially cast translucent blue art glass slab with the race logo etched into its face. PHOTOS of the 2017 HUFF by Daniel O. Owens and staff are now posted here on the Veep Races Flickr page. PHOTOS of the 2015 HUFF by Daniel O. Owens are now posted here on the Veep Races Flickr page. Results will be posted here on the Veep Races results page. Age groups are to follow. News-Sentinel newspaper article by Tanya Isch Caylor on the 2014 HUFF. The 2017 and 2016 HUFF runners faced some of our toughest weather conditions. However, the 2015 HUFF enjoyed great weather conditions. We thank those who made it a near record breaking year for the number of 50K finishers. HUFF 50K photos taken by the professionals at INMedia Source. Another video of the 2016 HUFF showing a bit of the snowy conditions seen above. The 2014 and 2013 HUFF weather conditions were outstanding. A great video showing the trail and illustrating the fun of The 2014 HUFF was made by Scott VanLoo. 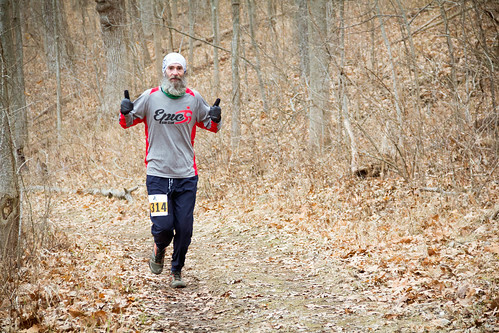 2014 The Huff 50K Recap from Scott VanLoo on Vimeo. A synonym of ‘ultra’ is ‘extreme’. 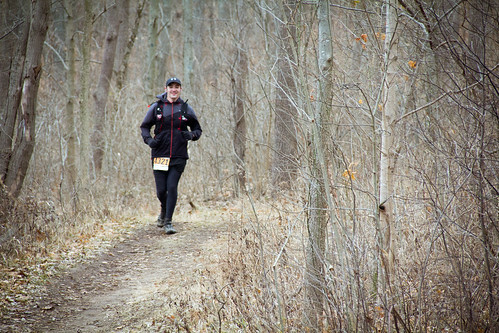 The 2011 HUFF 50K had extreme and unusual water conditions. Those conditions were unique in the 50 year history of Chain O’ Lakes and are unlikely to be repeated. The likeliest winter race conditions are like those of 2012, 2013, and 2014; race conditions runners regarded as ‘perfect’ and ‘perfectly beautiful’. 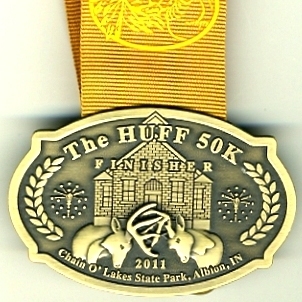 50K finishers will receive a custom gold colored medal. The 2017 design featured three time winner Ann Heaslett. 50K Relay finishers will receive a silver colored medal. All medals are made in the Midwest, or, as we like to say, the Old Northwest Territory. Now a tradition – One Loop Run (10+/- miles) finishers will receive a medal. The 2011 medal (shown) featured the historic one-room brick Stanley Schoolhouse that now serves as the Chain O’ Lakes Nature Center, the torch symbol from Indiana’s state flag and the two bucks with locked antlers discovered in 2007 at Norman Lake in the Park. Start time 8:00 am for the Relay and One Loop Runs; 8:15 am for the Individual 50K. 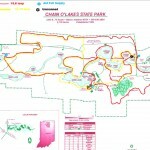 LOCATION: VERY IMPORTANT - The HUFF 50K moved to a new venue in northeast Indiana seven years ago - CHAIN O’ LAKES State Park in Albion, Indiana. The terrain is more technical than before. The amenities to be to a higher standard as well. The change is exciting and we think you will find the COL location to be exciting, too. There will be three staffed aid stations along with the Start/Finish tent and one unmanned aid station. You may view the old map here. We’ll p0st a new map prior to the 2018 race; an adjustment was made to move the Aid Station at the Fishing Pier across Sand Lake to the parking lot at Dock Lake. Aid stations are marked with blue stars are manned. All runners in all race categories will pass by the aid stations. 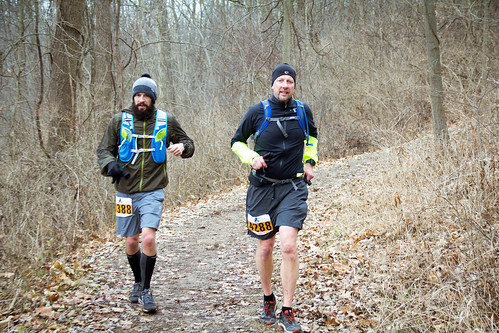 Here are a few of the things that will be available at the aid stations: water, sport drink, coffee, hot chocolate at some, bananas, PB sandwiches at some, pretzels, potato chips, tortilla chips, M&M’s, defizzed Coke, boiled potatoes, kidney beans (if our stocker agrees with me), turkey sandwiches at some, unbelievable and out of this world chocolate turtles at the Stanley School and grilled hamburgers at the Rally Camp Aid Station. Our thanks to great volunteers and our Main Tent staff for heading up the manned stations. PARKING:VERY IMPORTANT: Runners should park in one of the three large surface lots near the campground. This is a short walk to the Main Tent at the Sand Lake Main Tent. The parking lot at Sand Lake will be utilized for the Start/Finish, volunteers, service and emergency vehicles. For everyone’s safety, please use the two campground lots or one of the other lots nearby. When you enter the Park, go past the drive off to Sand Lake – continue to one of the next two entryways to your right. Those are the campground lots. Again, no entry pass will be required for 2018 – it is included in your entry fee. PRINTABLE MAIL-IN REGISTRATION will be posted here later. No online registration after Dec 25. There will be in person registration available the night before and on race day morning. We reserve the right to limit numbers of in person registrations. 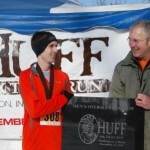 All 50K and relay entrants will receive running gear bearing the HUFF50K logo. Make checks payable to: VEEP Races. Showers: Showers are not available on site when the race occurs after Christmas Day. Showers are available when the race is earlier in November. Hot showers will be available in 2018 at the Whitley County Family YMCA in Columbia City IN and the Cole Center YMCA in Kendallville after the race but before 6 PM. Both YMCA’s have graciously allowed the use of their facilities on race afternoon by 2017 runners. 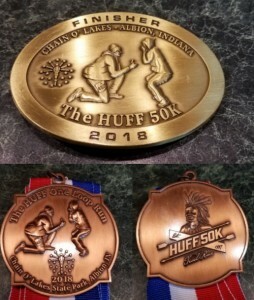 Awards: Belt buckle medals to 50K, 50K Relay Finishers will be presented at the finish line, and – now, since 2012 – medals for One Loop Finishers, will be presented at finish line. 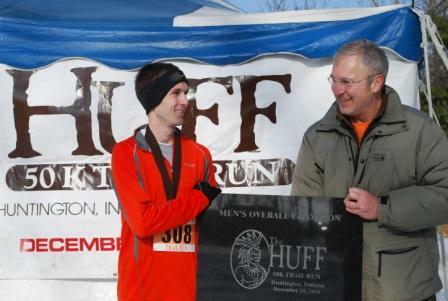 The heaviest award in ultramarathons will be presented to the overall male and female winners of The HUFF 50K. In past years, it was first a large cast gargoyle, then it was a large granite plaque. Starting in 2016, it is a translucent slab of sandblasted art glass produced by the oldest art glass manufacturer in the United States. Age group awards will be presented at end of race or will be mailed to participants.